Great gifts for Weddings, Hen Parties, Valentines, Christenings, Birthdays, Christmas and many other occasions. 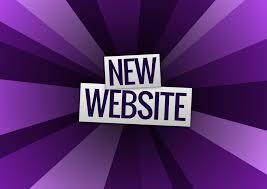 We now have launched our new website with online shop - please visit WWW.CLAIRESCHARMSANDGIFTS.CO.UK. If you're looking for something a little different or the more traditional party favours then look no further. We supply a wide selection including wine glass charms, chocolate hearts, almonds, sweets in organza bags, boxes or little buckets, all with personalised tags or cards. We offer a variety of gifts for the happy couple & their bridal parties, including wine glass charms, garter/bouquet charms, top table charms, cufflinks, photoframes, as well as a selection of gifts suitable for birthdays, anniversaries, christenings, and many more. Gorgeous glitter wine, champagne and shot glasses. Wine/Champagne glasses all come with personalised charms. Variety of colours to choose from. Great for Weddings, Birthdays, Anniversaries and many other occasions.